Pierre Jacquet is the fourth President of the Global Development Network (GDN). Formerly Chief Economist of the French Development Agency (AFD) between 2002 and 2012, he also served as the Executive Director in charge of strategy from 2002 to 2010. Preceding AFD, he was Deputy Director of the French Institute on International Relations (IFRI), where he was responsible for the economic program and was Chief Editor of IFRI's quarterly review Politique Etrangère. 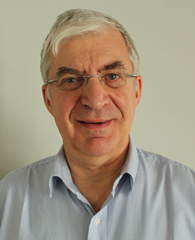 From 1994 to 2012, Pierre Jacquet was President of the Department of Economic and Social Sciences and Professor of International Economics at the Ecole nationale des Ponts et Chaussées, a renowned French graduate engineering school. He has also lectured in various business schools and universities such as INSEAD, Sciences-Po, the Paris School of Economics (PSE) and Ecole nationale d’ Administration (ENA).